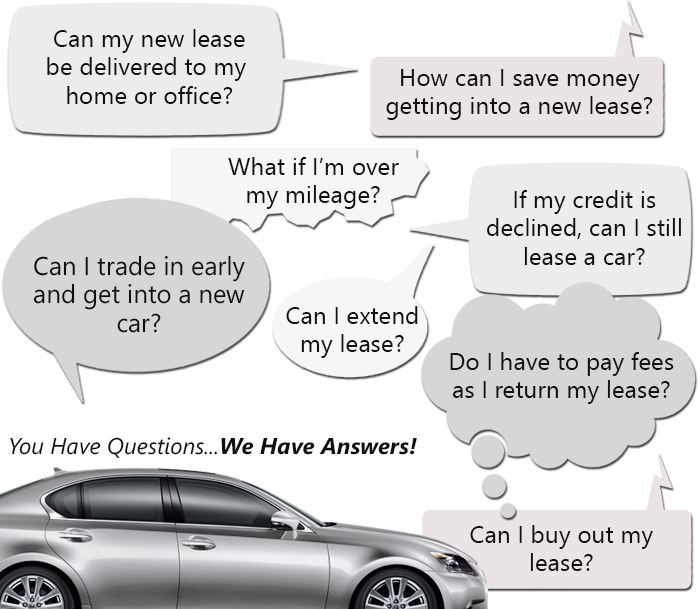 Car leasing companies are a dime a dozen, aren’t they? But how many of them have an inventory that includes any new model car from just about any car manufacturer you can think of? How many offer the lowest prices around? And how many of them have a way of doing business that is so convenient for their customers that those customers don’t even have to leave their homes to find and lease the perfect car for their lifestyle and tastes? Just one does all that. And that company is us: Best Car Deal Finder! Acura, Audi, BMW, Buick, Cadillac, Chevrolet, Chrysler, Dodge, Ford, Honda, Hyundai, Infiniti, Jaguar, Jeep, Kia, Land Rover, Lexus, Maserati, Mazda, Mercedes-Benz, MINI, Mitsubishi, Nissan, Porsche, Ram, Subaru, Smart, Toyota, Volkswagen, and Volvo. That’s quite a list, isn’t it? And we’re able to offer you any new model vehicle these great car manufacturers make. Any of them! Whether you’re wanting to lease a coupe, sedan, convertible, van, minivan, truck, SUV, or other off road vehicle, we have the ride you want. We’re able to have such a huge inventory, such a truly comprehensive inventory, because of one big difference between us and our competitors. While the other guys have car lots with only a relatively few parking spaces, which act to limit what they can lease, we have our car lot online. We have a virtual car lot that’s able to hold all the vehicles just listed, and is always able to grow. You can bet that as soon as an even newer model rolls off one of these companies’ assembly lines, we’ll have it in our inventory, all ready for you to lease. Even more importantly to a lot of people, we’re able to lease all these great vehicles at very low prices – much lower prices than our competitors can. Those old-fashioned physical car lots that limit what a car leasing company can offer its customers are also expensive! Property costs, property taxes, utilities, insurance, payroll for the people who staff those lots – it all adds up. Those costs mean a high overhead, which means high prices to their customers. But we don’t have costs like that, so our overhead is low, which means low prices for the people lucky enough to have found us! Aside from allowing us to have an exhaustive inventory and offer really low prices, there’s yet another great benefit to our having a virtual lot. Imagine that, instead of having to bother friends or hire a cab to find a ride to get to some car lot somewhere, only to be followed around by some worn-out salesman who’s got his commission as a higher goal than making you happy, you get to do your car shopping from your own home. No one will be following you around while you look at the paltry, rained-on, sun-beaten offerings, and no one will be practicing his high pressure sales tactics on you. Instead, you’re chillaxing at home, sitting in your favorite comfy chair, snacks and a tasty beverage at hand, simply surfing our site in order to tour our virtual lot, taking all the time you need. No being rushed, no being pressured, and all according to your schedule, not the schedule of some manager or salesman. You can do your car shopping in the morning, at noon, or in the middle of the night. On any day of the week, including holidays. If you want to take a friend or family along with you, virtually speaking, all you have to do is email to them the cars you’re interested in to get their input as to which one would be best for you. Take a quickie tour and bookmark cars that strike your eye so you can come back later and take a closer look, comparing those bookmarks with each other more fully. Shop a while, go catch a flick, and then come back and shop some more. Whatever! You own the experience. It’s all yours. No, there won’t be some annoying salesman breathing down your neck to turn to if you have any questions, but we’re there for you any time you need answers or help. We’re just a phone call away! And we’ll be there for you, too, when it’s time to think about financing. We’ll work directly with banks and other lenders to make sure you get a really good deal with terms you’ll be happy with. If low interest rates and low monthly payments sound good to you, you’ll like the way we do things! We even handle most of the tedious paperwork that financing involves so you won’t have to. Another thing you won’t have to do is bother your friends or hire a cab to go pick up your car when that day comes. You won’t have to worry about how you’ll arrange to pick up your car because we’ll bring it right to your home or office. Or if neither of those places works for you that day, just tell us where you want it delivered and it’s done. As you can see, we try really hard to make sure our customers have the most convenient, laid-back car leasing experience possible. We know all about the annoyances people experience when leasing from other car companies, and we deal with them before they start! If you have any questions for us, just grab your phone and call us up at 347-897-5225. We’d love the chance to prove to you how we can save you a ton of money even as we offer you the largest inventory of vehicles around, the most incredibly convenient car leasing experience possible, and really good customer service. We take pride in what we do, and do our best to make our customers happy, and keep them that way!